Bethan, the apprentice healer of a Welsh Romany clan, and her friend Martyn are constantly tormented by Silas, son of the clan chieftain and his friends. One night Silas and his friends brutally attack Bethan and Martyn. As Martyn lies near death, Bethan begs Drina, the clan healer to bring him back from the brink. 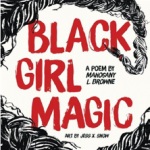 “There is a price to pay for such magic,” Drina warns. 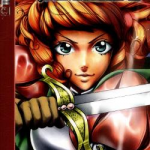 The reader immediately gets a sense of the dark tone of the novel just by looking at the cover, which features a wraithlike young girl with a piercing stare. She is dressed in black, standing in a dark forest with her magic represented by a red mist that creeps toward her. 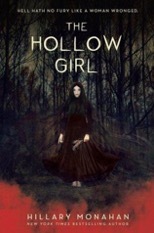 The Hollow Girl is a dark and gritty tale of magic and revenge with episodes of graphic violence. The author, Hilary Monahan, is half Romany and a sexual assault survivor. Monahan warns readers about the assault and violence in her forward. The attack, although graphic, is handled skillfully. Monahan treats the assault as being both physical and emotional. The story unfolds slowly and intensifies after the assault. The combination of revenge, fueled by magic, will keep teens reading to the end to find out what happens to Bethan, Martyn and Silas. Hand this to teens that enjoy horror novels such as Asylum by Madeleine Roux and Anna Dressed In Blood by Kendare Blake. Alfonso Jones is a good kid. He’s a bike messenger as a way to make some money on the side, he’s cast in the part of Hamlet in his school, and he’s trying on a new suit to celebrate the homecoming of his incarcerated father. That sartorial decision is the last one he makes as he is gunned down by an officer who is moonlighting as a security guard. Alfonso’s soul will not know peace until he has viewed the historical context of the shooting as the passenger on a paranormal subway tour. This is a timely issue that will appeal to teens as much as the beautifully rendered art. 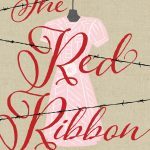 Reluctant readers will identify with the likable characters, and think deeply about the situations that call attention to the historical injustices that are driving the Black Lives Matter movement. Though a graphic novel format, this shares the paranormal connection to history that makes Jason Reynolds’ Long Way Down so appealing. 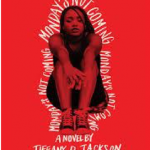 This is a title that will appeal to fans of The Hate U Give by Angie Thomas and Dear Martin by Nic Stone. Isaac and his motley crew family live on an illegal marijuana grow-op, guarded by their family pet bear, Hazel. Having kept a low profile his whole life to protect his family, Isaac is thrown off when new girlfriend, Sam, loves the spotlight. Even worse, her father is a cop. The forbidden fruit topic of pot is a natural draw for curious teens. Isaac’s complex, dysfunctional family and unconventional methods of living will pull them in even further. Star-crossed lovers, a gigantic pet bear, and a grandpa who interjects loud curse words at the most unexpected of moments seal the deal for reluctant readers. The atmospheric setting of the mountain lends itself to candid family moments that are both darkly humorous and thought-provoking. Trigger warning for animal lovers who are sensitive to tough scenes. Although the characters are flawed, readers will sympathize with their plight and be compelled to root for them as the story unfolds. Gut-busting humor interjects seamlessly into the most sobering of moments, bringing levity to the tough topics presented in the book. Fans of irreverent humor, such as selections by author Andrew Smith or television shows Weeds and Breaking Bad will find common ground with Kyi’s story.